Located In Pasco County, Odessa, FL, is northwest of Tampa. As a Top Rated Local® Flooring Service based in Tampa, we’re proud to serve the residents of Odessa. These gregarious people have homes that are gorgeous as well, which is why we want to make them look even better with our services. After all, your home can always look better, especially with a little renovation. If your Odessa home needs a bit of a makeover, then take the time to contact the flooring specialists at 2 Day Flooring to ensure that your home looks the way you’ve always wanted. For further information, take the time to reach out to us to learn more about tile flooring and our other services. Tile flooring can be such a relief in a Florida house. Florida, as you know, can get extremely hot and humid, which is why tile flooring can be such a comfort. While it does get chilly in Florida, most of the time it’s pretty warm. For that reason, it can be beneficial to get tile flooring in your home. Another reason that tile flooring can be such a great option is because of the versatility it offers. You can create your own style when you install tile flooring or you can go with a more classic option. Whatever the reason may be to install this option in your home, tile flooring is an affordable option that goes great in bathrooms all the way to patios. 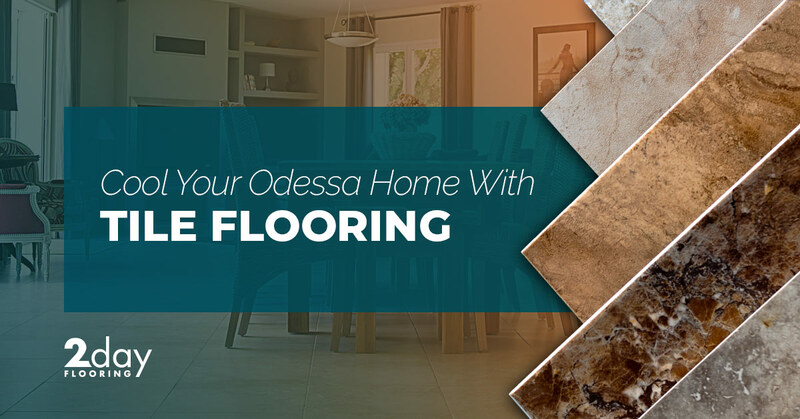 Go with a high-quality option when you decide to invest in this type of flooring in your Odessa home. Tile flooring is a great option for a Florida home. As opposed to living in a place such as Maine where it gets cold, tile will be a refreshing change in your home, especially during the summer months. This water-resistant option is consistent and refreshing. You can add a variety of different styles, textures, and colors to your home when you decide on tile flooring. What’s great about this option is that it can be installed anywhere in your home. Consider where you’re going to renovate the flooring in your home before you decide on this option. While tile flooring can go anywhere, a living room isn’t exactly the most comfortable place when the surface is hard. However, bathrooms, patios, entryways, even kitchens are great rooms to renovate with tile flooring. 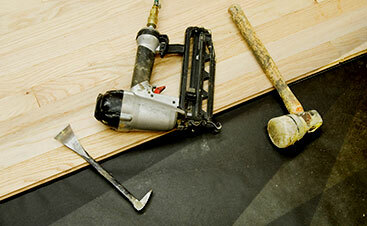 2 Day Flooring is happy to help in anyway we can when it comes to renovating your flooring in your home. Our team of highly trained experts are knowledgeable in flooring and will provide you with some insight on what would look best in your home. Our installation services won’t get in your way and will make the renovation process much smoother. 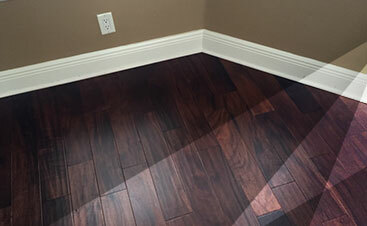 We make flooring simple when you choose us. If you’d like to hire us for our Top Rated Local® Flooring Services, then call today.